I will hunt you down. I will scour the streets of Los Angeles for you. Search every street in the Republic if I have to. I will trick you deceive you, lie, cheat and steal to find you, tempt you out of your hiding place, and chase you until you have nowhere else to run, I make you this promise: you life is mine. Exciting teaser! Have to put this on my TBR list. Ooooh! Now that is one helluva teaser!! Awesome!!! I actually received this book for Christmas but have yet to read it. I feel ashamed. I hope I can read it soon, especially after reading that amazing teaser. Thanks for sharing!!! Oh, I love this book! Great teaser! Great teaser! I really need to read this book! Love this teaser! 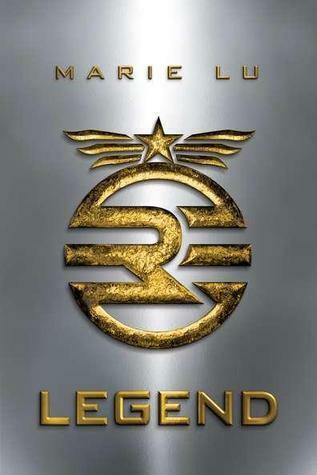 I have been interested in Legend for awhile now, but wasn't sure what it was all about. I'm excited to read it now though! Thanks for sharing!